ʻO ke kaumaha loa no kēia mau keiki, ʻaʻole lākou i koho, na kekahi i koho hewa. ʻAʻole he kanaka ʻino nā mākuahine, nā ʻohana hānau, akā ua koho hewa, a ʻo ka hopena na ke keiki. Nui ka pilikia ma ke kula. Nui kona pilikia me kāna hana, behaviour issues. Paʻakikī kona ola, akā ʻaʻole nāna ka hewa. Pono e noʻonoʻo, ʻaʻole nāna i koho, akā nāna ka hopena. Children in Hawaiʻi’s foster care system are among the most vulnerable in our society and providing services and support for them is a never-ending responsibility. For Native Hawaiian children, this responsibility is especially challenging. 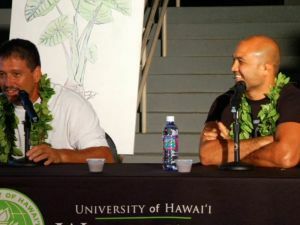 According to Kayle Perez, Administrator at the Hawai’i Department of Health Child Welfare Services Branch, “The number of Native Hawaiian children in foster care has reached almost 50%. Looking at the Native Hawaiian population in Hawaiʻi, they donʻt make up 50%. Itʻs complex in a way where weʻre trying to understand it and weʻre trying to take a look at what can we do to adress the disproportionality. Opinions vary on the causes for overrepresentation, but this problem cannot be fixed in isolation. The number of Native Hawaiian children in the foster care system is a symptom of the socioeconomic health of Native Hawaiians as a whole, which ranks worst in nearly every category of any ethnic group in Hawaiʻi. 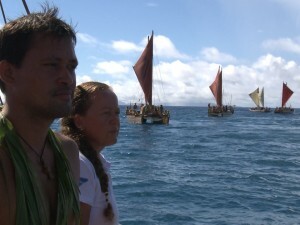 Healing the systemic marginalization of Native Hawaiians is a generational effort well underway, with the Hawaiian community taking the lead to improve our own situation. As with other areas of need, Hawaiians are stepping up and taking action, including the traditional kuleana, or responsibility, of mālama keiki by taking in and caring for Hawaiian foster children. Aloha, ʻo Kauʻi Keola koʻu inoa, no Halawa mai au. 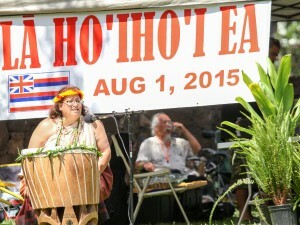 ‘O kuʻu kāne ʻo Rocco Keola. He 12 aʻu keiki i kēia lā. ʻŌlelo au i kēia lā no ka mea, e loli koke ia kekahi o nā manawa. Aloha, I am Kauʻi Keola, my husband is Rocco Keola and today I have 12 children. I say today because that number fluctuates pretty quickly. “Everyone works together to make our family work cause we have to be a team. No one can do this by themself. I donʻt even do this by myself, without my husband and the two girls, thereʻs no way I could do this, we all have to work together. 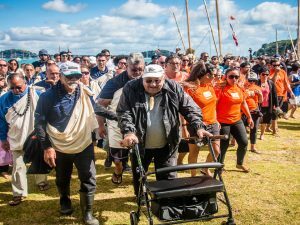 That’s their way of learning that concept, you know lōkahi, we all have to help each other and have each other’s back,” explained Keola. The Keola family is unique in the number of foster keiki they have taken in as their own. Any ʻOhana interested in fostering children is provided assistance from various community programs that offer support services, such as Partners in Developmentʻs Hui Hoʻomalu Program. “The rewards are tremendous you know you canʻt count the rewards. you canʻt measure the love that you get back. You know a lot of people tell us oh these kids are so lucky that they have you, but no weʻre lucky that the kids have come into our life because they bring us joy, they bring us love, they have expanded our family,“ Keola reflected. I would like to know what kind of culture (Hawaiian) programs is there on the island of Hawaii for children 5-17. I have 4 children of my own and work for west Hawaii child welfare services. I need to know so I can try and make my children and children that are is the foster system excel and learn their culture! 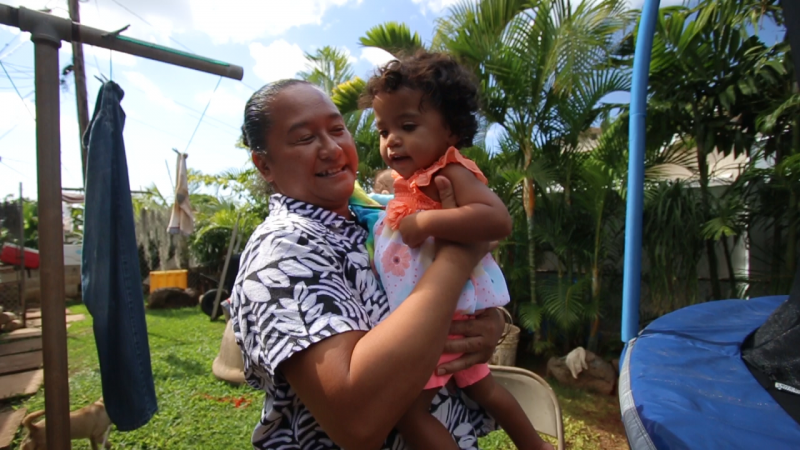 Can a family that doesn’t live.in Hawaii become a foster parent for the kids that need homes? I was in the system from when I was 8. I went from house to house till 6th grade, where I lived above my mom about a half mile. The family was very loving, later in the 7th grade forced to go to a group home because of no family’s available. I was in there till 9th grade where I got reunited with my younger brother. We had about 40-60 kids which I met. But one thing was for sure, we always had food to eat, cloths to wear to school. My two older brothers we’re both felons, again we did not have much support at home because Mom was abused all of our lives. Thank you to the Mahoe Family who raised my brother and I to be great. I have foster brothers who got tried for murder 1 and one who went to Marines and met his favorite football player Bret farve, shook his hand and all🙏🙏🙏. My point is just a Little Love goes a long way. I’m 31 own my own home have 2 beautiful healthy daughters and a very loving girlfriend ( couldn’t get married cause we used money saved to get a 🏠 house. Lol) No regrets. And thank you Kalani Mota, DHS, Willie Kalae, (group home) Glen Taka, Scott Yamamoto, Jason Alatan ( T.A ), Kihei Nahale-A (T.A.) Dorinna Manuel-Cortez , Aunty Luana Kawelu,(QLCC), Kaumu Lehua Vincent ( principle of Kamehameha Big Island campus….. I can go on and on. It takes a whole community to raise a child. Thank you to you all. I am interested in becoming a foster parent. How long does it take? I’m a stay at home grandmother with lots of love and training skills. I don’t want to work in corporate America anymore. I wish to help build wholesome lives while I am here. Please email trulyheiskell@hotmail.com to tell me what are the first stepps. Aloha, I am looking for data and reports on Native Hawaiian children in the foster care system. Can someone direct me to some sources of information? I am writing a paper on the Native Hawaiian Child Welfare Act and need to have supporting information.